STATESBORO, GA - The Multi-Purpose Agricultural Center has been a long-awaited dream of Bulloch County and the Statesboro community. 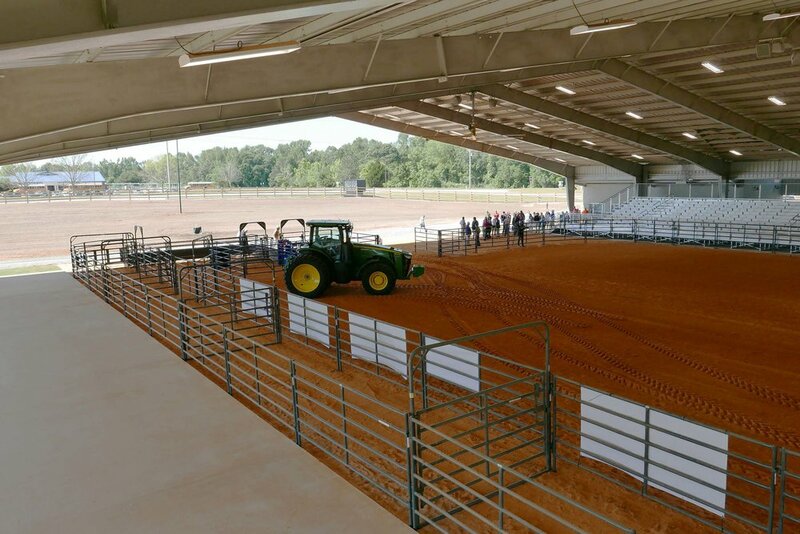 Designed to host large equestrian and agricultural events in Bulloch County and the Statesboro area, the design solution provided a new 135,700 SF Agricultural Center located on a 23 acre site. The facility includes all the components required for large scale agricultural and equestrian events. 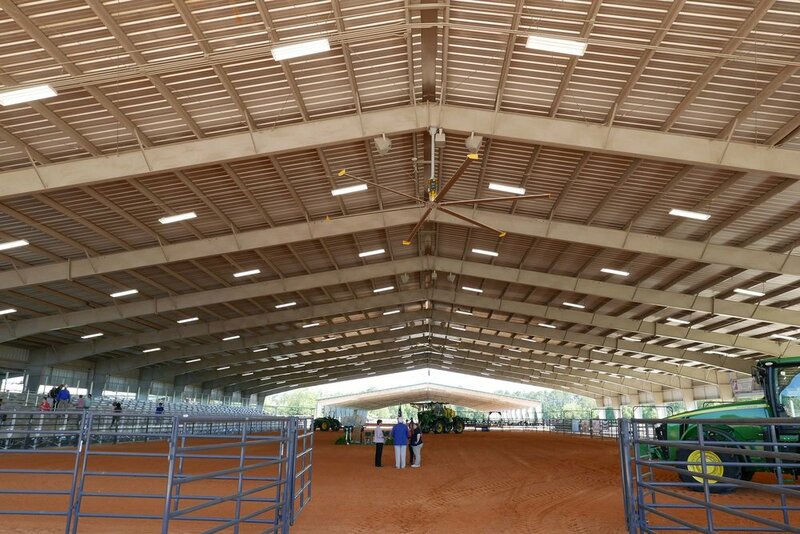 The Main Arena is a 54,000 SF pre-engineered metal building with a 125’ x 250’ portable performance ring for equestrian or livestock events. Numerous configurations of the facility allows flexibility for additional events such as rodeos, trade shows and concerts. The building contains bleacher seating for 3,000 with restrooms, concessions and office space for show administration. The 38,500 SF covered Practice Arena, a special feature not commonly seen at such facilities which usually rely on open fields for practice areas, has a portable performance ring like the one in the Main Arena. 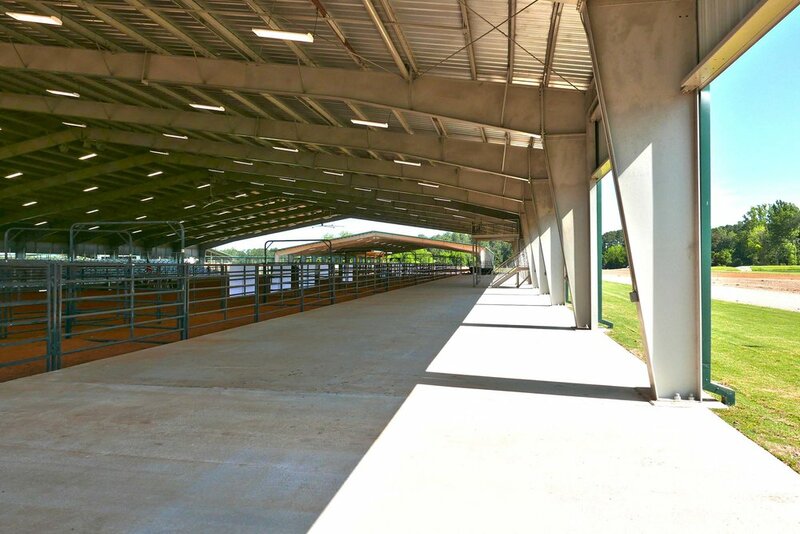 Covered walkways connect the Practice Arena to the Main Arena and the Livestock Barn. The 38,000 SF Livestock Barn features 218 10’x10’ stalls with 20 wash bays for livestock. There is ample electrical service for grooming and equipment needs, restroom facilities, and paved aisles. An RV campground adjacent to the Livestock Barn has 62 sites with full utilities and campsite space. There is a central station with water and sewer. Met with incredible enthusiasm by the community, the ground breaking ceremony was attended by over 200 citizens - all looking forward to the positive impact the new Agricultural Center will have on the area. The project construction was completed in late 2018.